Cantonese is a dying language while Mandarin is on the rise. Wait, aren’t they both the same? They’re both Chinese right? These two are different languages and it can be difficult to choose between the two of them when learning Chinese. After all, which will be the most useful option? Mandarin and Cantonese have different tones that you will need to master. Not getting the right tone will mean that you get the wrong meaning of the words. Think it’s simple? 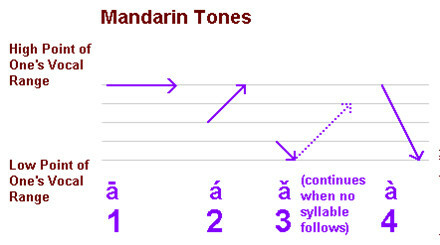 Mandarin has five different tones while Cantonese has nine! There are also different spelling rules, which leads to problems. 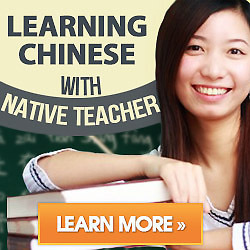 I believe that Mandarin is an easier option to learn. In some Cantonese language areas such as Hong Kong, Macau and most of the overseas Chinese communities they generally use traditional Chinese characters（繁体字） while Mandarin areas such as mainland China use the simplified versions （简体字）. But there should always be exceptions to the rule. Taiwannese speak Mandarin, but they use the traditional characters. And if the overseas communities are from Chinese mainland, they also use simplified characters. As it sounds, the traditional characters are much harder to learn and have many more strokes. Just look at these as an example: “漢字” vs “汉字”. Like English, sentences are set by subject + verb + object (SVO) but the verbs don’t indicate a tense, plural or gender. These are reflected through the use of adverbs, markers and particles. The grammar in Cantonese is much harder than Mandarin grammar by using more particles, which makes it harder for non-native speakers to learn. For example:”你饮咗嘅啦嘛” in Cantonese is just “你喝了吧” in Mandarin. There is also a difference between Mandarin and Cantonese in the placement of the adverbs. Mandarin will have你先走 while Cantonese places the adverb at the end like this你行先. Nouns can also stand on their own in Mandarin but not in Cantonese for example: “本書好厚” in Cantonese is “书好厚” in Mandarin. There is a larger population of Mandarin speakers compared with Cantonese. 90% of the country will speak Mandarin while Cantonese is mainly spoken within the Canton area of Guangdong only, although it is spoken in Hong Kong, Malaysia, Macaw, Vietnam and more of the ethnic areas. More people who speak Mandarin travel abroad than those who speak Cantonese, which has helped the growth of the language being spoken around the world.It is important to note that the Cantonese spoken in Hong Kong will be different than that spoken in Guangdong. Those in Hong Kong often mix it with English and can speak more English, making it a more international language. Mandarin is used by the majority of schools, universities and colleges in Taiwan and mainland China and is popular for radio stations, movies and TV programs – even in the areas where Cantonese is mainly spoken. Mandarin is also one of the official five languages spoken in the United Nations. More Cantonese speakers are learning the Mandarin language due to the international influence and development of the economy in China. Many Hong Kong schools are opting for Mandarin in education instead of Cantonese. Mandarin is easy for Cantonese speakers to master but the same cannot be said for Mandarin speakers trying to learn Cantonese – they will find it difficult to speak to someone who speaks in Cantonese. My opinion is to learn Mandarin to start with. This will be much easier than the Cantonese language.